No one, not even pole position man Lewis Hamilton, likes the new elimination countdown qualifying format. From Christian Horner to Martin Brundle and Niki Lauda, the call to scrap it is unanimous. Not surprisingly, fans on social media aren’t happy either. As for those at the track in Melbourne, they must be livid. The change has made it less exciting, has less cars running and removes any thrill that there once may have been (sometimes, on a rare occasion). Scrap it, scrap it now. This MASSIVE blunder by Formula 1 also highlights the need for some fresh thinking at the top of the sport. The current model is broken. It has become more of a old fuddy duddy corporation full of disgruntled employees, rather than exciting cutting edge incredible sport and spectacle. Get someone to lead the sport and lead it properly, for the benefit of the sport rather than the benefit of fat cat wallets. Formula 1 isn’t boring, but it’s pretty screwed up. Even more so now. 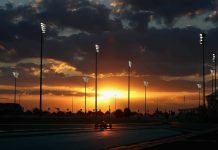 These new rules were dreamt up far too close to the start of the season, though, and it led to a half-baked idea which, unless tweaked before F1 heads to Sakhir in two weeks’ time, will not live up to its potential. F1 is a complex old thing. It’s evolved from a sport into a trifecta of sport, entertainment and business. 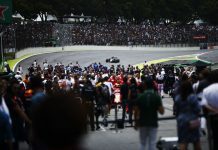 The idea with Elimination Qualifying – which does rather make me think someone is going to be offed by the Mafia every 90 seconds – was that it would lead to a better show, but it was a short-sighted plan, because there are two VERY different shows in question for fans; those at the track wondering why Q3 has finished four minutes early, and those at home who have the benefit of hearing Ferrari team radio transmissions tell their drivers that they’re “Not going for a second run”. Q1 and Q2 to my mind worked as intended, and the former I enjoyed greatly. While I was rooting for Manor to get further up the order, they messed up the timing of Haryanto and Wehrlein’s runs and that saw them out earlier than they would have liked. It probably would have been their ultimate grid slot anyway, but for pure cars on track reasons, not ideal. Kvyat made the same mistake – but this was the whole point of the new format; mixed-up grids. Feedback from friends at the track was that they couldn’t tell what was going on, didn’t have clear sight of a screen and those that did had no countdown timer on it so had no clue of where things were and then saw drivers crawl past (if already out). Also saw drivers out of car and realised in some cases they’d given up as time was against them, people left stands 4 mins before chequered flag. via @Dinalli on Twitter. What are YOUR thoughts? Add them in the comments below. 20 Races in 2011 – How Exciting!